July 2016 update: I wrote the following in January 2011 and the answer to the title question remains the same: no party in British Columbia represents true conservatives. The Liberal leadership campaign moves about the province but stays always in safe zones and comfortable environs, such as their proud flagship monument, the billion dollar convention centre. 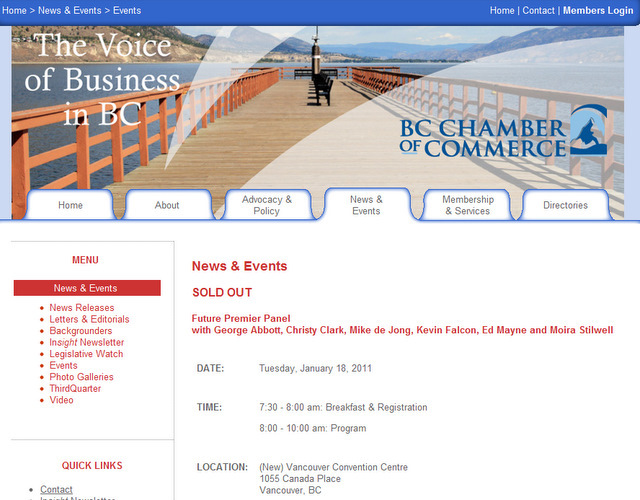 Unfortunately, despite there being capacity for thousands of warm bodies in almost half a million square feet of function space, Tuesday’s rally of Liberal leadership candidates did not allow ordinary citizens to attend, just 350 invited guests of the BC Chamber of Commerce. You are welcome to pay for the convention facility but only special people got to use it on this day, no doubt facilitated by a sweet rental deal. 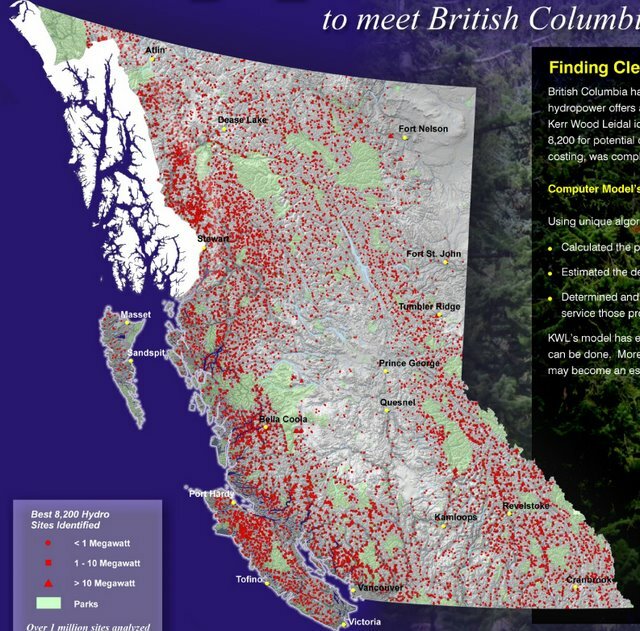 Not that most citizens would want to attend one of the business love-ins where BC Liberals get their marching orders. The most significant statements made Tuesday were by George Abbott who warned his associates their right wing coalition is fragile, at risk of coming apart because the party, having given up the middle and left parts of the political spectrum, will now compete with new conservatives, who might actually be conservative. a political preference for maintaining established institutions and customs and changing only gradually, or the acts and practices resulting from this preference. a general preference for the traditional; disinclination to change. This government has little respect for established institutions and customs and it has accelerated change in its rush to privatize as many public assets as possible. Preserve the wilderness for future generations? Hell no, give it to General Electric to build dams on public lands so they can generate electricity with public water for guaranteed profits when they sell the power back to the public? Is that conservative? Would a conservative government generate public debt faster than any regime in BC history? Would conservatives hide expenditures to favored corporations by misstating financial reports and refusing demands by the Auditor General to correct the faults? Would a conservative administration deal out massive increases to management salaries or allow a few executives to be paid twice the approved level? Was it conservative to reward 41 MLAs, almost all Liberals, with $800,000 each in retroactive pension benefits despite the fact that most MLAs carry on their regular careers and serve the public part-time? Would a conservative government pay $6 millions to their political assistants who plead guilty after years denying guilt for bribery and fraud while conducting public business? Would conservatives borrow money to build an extravagant convention centre, proudly claim the tourism industry would pay a substantial part, then quietly cancel that provision for user payments? Would conservatives force Fraser Valley commuters to pay tolls but spend close to a billion dollars on a highway to Whistler and charge vacationers no tolls? Would conservatives plan to allow generators on over 8,000 public river sites throughout the province so that a privileged few can sell electricity back to the public?